It’s been written that at any given moment, a billion billion bugs are besieging the earth. Unfortunately for those of us who enjoy the outdoors, many of these creepy crawlies love feeding on human blood and epidermis OR stinging you with their barbs. In other words, they want to hurt you. Obviously, Holistic Pest Solutions is poised to help you avoid these nasty meanies, for instance if you have a big problem with mosquitoes in your yard or swarms of yellow jackets, call us to treat. Overall, however, here are some great tips on how to escape summer pests. Bugs bite, burrow, buzz and bother. We swat, scratch, scream then scram. In the olden days, people smeared on bear grease, doused their clothes with kerosene or just didn’t bathe for weeks to elude outdoor pests. Fortunately for us modern humans, these old-time methods of repelling bugs aren’t necessary today. Now, we can less stinky to avoid the misery spread by nasty summer pests. Around 200 species of mosquitoes occur in the United States, and we pity the person who counted. Female mosquitoes, the kind that bite, need a blood meal before laying eggs. To find you, they follow your body’s chemical trails. The carbon dioxide you exhale is like the aroma of bacon frying to hungry mosquitoes. Their bites spoil hours of leisure time, and some mosquitoes transmit diseases such as malaria, yellow fever, encephalitis and West Nile virus to humans. More than one million people worldwide die from mosquito borne diseases every year. A more holistic insect repellent might be a lemon eucalyptus product – many brands sold at Amazon, Target and Walmart. Maybe not as effective as DEET, but more natural. 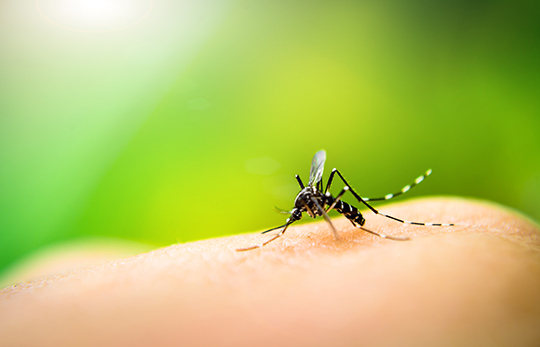 Among the latest tools for combating mosquitoes are ThermaCELL products- Mosquito Repellent Appliances and Mosquito Repellent Lanterns- from the Schawbel Corporation. Each operates on a single butane cartridge. The cartridge heats a repellent mat and releases allethrin, a synthetic copy of the natural replant pyrethrin found in chrysanthemum flowers. The repellent creates a virtually odorless cell of protection up to 98 percent effective against mosquitoes and other biting insects. The units are about the same size as a television remote control and are cordless and odor-free, making them ideal for use when hunting, fishing, and camping. The only good thing about ticks is they are a lot smaller than grizzly bears. These nasty parasites think of humans like they are a tasty Big Gulp from 7-11. If they keep their straws in you long enough, they can transmit many serious and sometimes fatal illnesses, including Lyme disease, ehrlichiosis, tularemia, Rocky Mountain spotted fever, anaplasmosis, babesiosus, and relapsing fever. If you spend a lot of time in tall grass or in the woods, it’s a smart move to wear long pants and tuck your pants into your socks to prevent ticks from crawling up your legs, which they often do. If you’re in the woods, wear a hat to protect from ticks dropping off trees into your hair. When possible, walk in the center of trails and avoid brushing against vegetation or traipsing through leaf litter. Again, lemon eucalyptus (with rosemary this time) is a good deterrent to ticks. There are many homemade recipes for natural tick repellents if you Google it. They contain various essential oils and might seem a bit overkill, but if you’re determined to be holistic, it’s worth a shot. Be sure to inspect yourself and your children for ticks after trips outdoors, even in your own yard. Check your pets, too. The risk of disease transmission decreases significantly if ticks are removed promptly. Use a mirror to view all parts of your body and remove any tick you find. Pay special attention to the armpits, groin, waist, ears, belly button, backs of knees and scalp/hair. Tick bites can be extremely serious. Always take precautions to avoid them before every trip outdoors. Unfortunately, there isn’t much you can do to repel wasps, hornets, yellow jackets and the such. 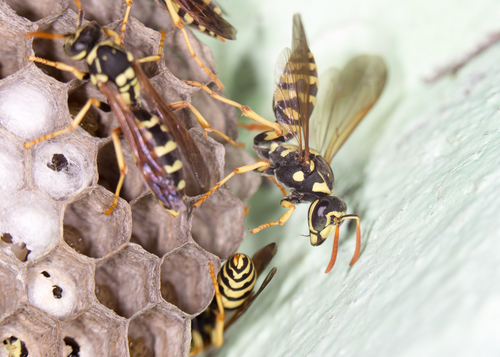 To prevent stings, you’ll simply need to watch for and avoid nests of stinging insects. Wear shoes outdoors in case you accidentally step on one. Don’t wear scents and bright-colored clothing outdoors as these attract stinging insects. Don’t leave food or garbage exposed outside. Don’t swat at a stinging insect as this increases the likelihood of an aggressive reaction. Most single stings can be treated with a cold compress or sting-kill medication. But if a victim has been stung multiple times or has swallowing difficulties, shortness of breath, weakness or unconsciousness, get them medical attention immediately. Every minute counts, especially for people who have allergies to the insects’ venom. Those who know they have allergies should carry a sting kit that includes medication prescribed by their doctor with them at all times. **NOTE Please remember – honey bees and bumble bees are not a threat to you and are very important to the environment, so please don’t kill them. If you have an issue, local bee keepers are MORE than happy to come in and remove the hive for you. Call us if you need a name in your area. 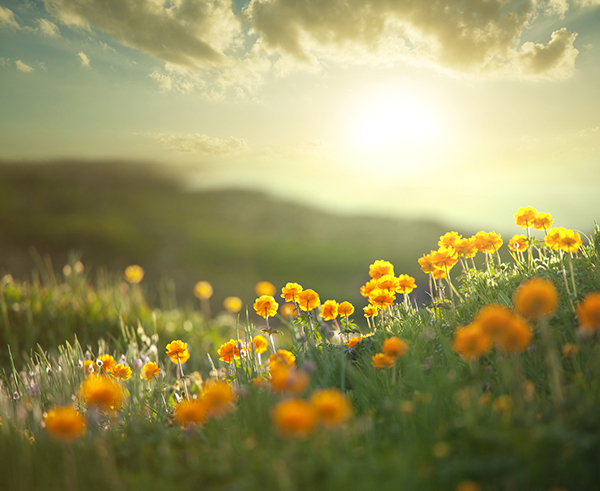 CONTACT Holistic Pest Solutions to learn more tips on how to escape summer pests or if you need treatment for mosquitoes, wasps, hornets, yellow jackets or any other pests; or give us a call at 434 842 1700. 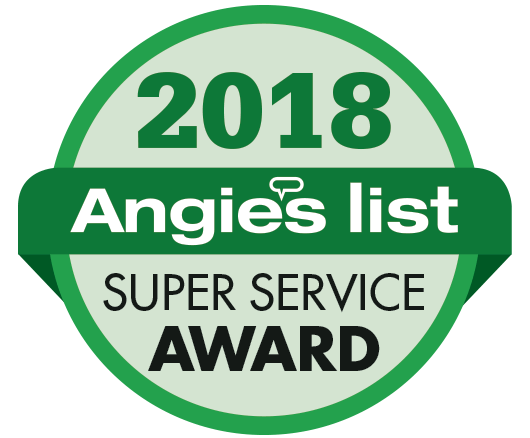 Whether you’re in Charlottesville, Palmyra, Keswick, Ivy, Crozet, Earlysville, Greene, Madison, Waynesboro, or Staunton, Holistic Pest Solutions has the perfect plan for you that is as Green As You Wanna Be!